teeth and gums healthy. No matter what your age your dental health is important to us. According to the American Dental Associations patients should be seen by a dentist at least twice a year for a regular check-up and routine cleaning. However each individual is unique in their dental health needs, some patients may need to be seen more often than twice a year. Which ever your dental needs may be, our office is here to help you maintain a healthy and beautiful smile. Call us today at 703-365-0700 to schedule an appointment! We understand that a dental emergency can occur at any given time without warning that is why we have a doctor on call 24 hours a day for your convenience. Dr. Sheila Rao and our staff here at Manassas Family Dentistry will do our best to accommodate you immediately and get you out of oral pain! If you have a dental emergency please call our office immediately at 703-365-0700. Many people suffer from imperfections that discourage them from smiling with full confidence. Whether it is stained teeth, missing teeth, broken teeth or even uneven teeth, all can prevent patients from feeling there best about their smile. Dr. Sheila Rao can help you set goals for enhancing your smile and recommend a treatment plan that fits your unique needs. Please call our office today for a cosmetic consultation at 703-365-0700. Parents often have questions about how to take care of their children's teeth. When should you start brushing? When should they start seeing the dentist? Dr. Shiela Rao has the answers to your questions and can help your child maintain healthy cavity free teeth. Call our office today at 703-365-0700 to schedule an appointment for your child! Have you lost confidence in your smile due to staining or discoloration? Would you like to regain your beautiful bright smile? Although there are many at-home teeth whitening kits available on the market, nothing compares to professional whitening. At-home kits are not able to penetrate deep stains left by foods and drinks like coffee and red wine. 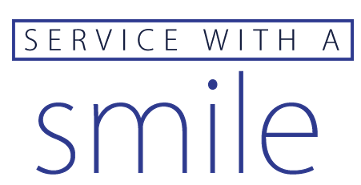 We offer teeth whitening services here that will restore your smile back to its brightest! Professional whitening methods use stronger agents that can eliminate these stains and those caused by normal aging. Straighten your teeth without interrupting your life! Invisalign® takes a modern approach to straightening teeth, using a custom-made series of aligners created for you and only you. Wearing the aligners will gradually and gently shift your teeth into place, based on the exact movements your dentist or orthodontist plans out for you. There are no metal brackets to attach and no wires to tighten. Invisalign® treats a variety of cases, including crowding, spacing, overbite, underbite and crossbite. Why Invisalign®? There are many reasons why Invisalign® is a more comfortable and convenient treatment opposed to metal braces. Invisalign® allows you to brush and floss your teeth normally for better periodontal health, lets you enjoy virtually invisible teeth-straightening, and frees up your busy schedule, with office visits only every four to six weeks. With regular braces patients tend to experience some if not all of the following symptoms: pain, mouth sores due to the brace wires, tooth decay (from not being able to brush and floss properly), plaque build, tooth discoloration and difficulty eating. Not to forget the personal sacrifices, like chips, popcorn, pizza crust, apples, corn on the cob, nuts, and some candies just to name a few. With Invisalign you get to eat whatever foods you enjoy and you are able to brush and floss right after since the aligners are easy to remove! Ultimately, the choice is yours, but do keep in mind that, if left untreated, many orthodontic issues can often lead to more serious dental and health issues. Call our office today at 703-365-0700 to schedule an Invisalign® consultation.